Won’t I Seem Like a Mercenary If I File a Wrongful Death Suit? If you have lost a loved one due to the negligence or recklessness of another, you may have already heard the suggestion from family of friends that you should consult with a Las Vegas wrongful death lawyer regarding the filing of a lawsuit. If you haven’t, the suggestion is no doubt forthcoming. However, you may have also heard from other family or friends that if you file such a suit it will make you look like someone who is only looking to make money off of your loved one’s death. Despite the perception of those friends and relatives, however, a wrongful death suit may be advisable. Regardless of what friends or family may advise, it is not likely that they have the experience or expertise that your Las Vegas wrongful death lawyer does to provide you with the legal counsel that you need at this tragic time. Your wrongful death lawyer is well aware of the grief that you and your family are currently experiencing. However, your lawyer also knows that the death of your loved one may also have financial repercussions for your family that can be assuaged with a wrongful death suit, if applicable. At the Law Offices of Lawlor Winston White & Murphey in Las Vegas, you will find a wrongful death lawyer who can compassionately guide you through the details of all that a wrongful death suit would entail and whether or not it is advisable in your situation. Arrange for a consultation with a wrongful death lawyer at Lawlor & Winston today so that you can get advice from someone who understands the many and intricate legal ramifications involved. 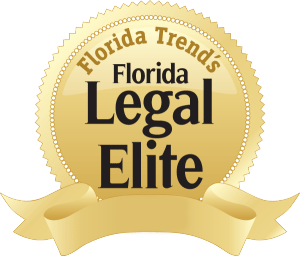 When you need a Fort Lauderdale wrongful death lawyer, Andrew Winston is a seasoned personal injury lawyer with a winning record of guiding those affected by wrongful death through every detail of an accident case and ensuring fair and reasonable treatment. Andrew Winston has been involved in more than 100 jury trials and obtained verdicts, judgments and settlements in excess of $100 million for his clients. Please visit our website at or call our offices at 954-606-9606 or toll free 866-306-9606 to schedule a free consultation to discuss your case. If you’re concerned that you can’t afford the services of a Las Vegas wrongful death lawyer, rest assured that we work on a contingency basis—you don’t pay us until you receive compensation from any insurance companies involved.